My preparations for Saturday are coming along nicely. In this post I will be sharing more information about the main activity I have planned. Aside from giving a behind the scenes look at the tools, components and process of making of a quilt...I'll be piecing blocks too. Audience participation will be encouraged, as visitors will select which fabric I use next, and on which block. Since they will be contributing to the design, they can then autograph the huge quilt label that I have prepared; which will be pieced into the back of the finished quilt. Fun, right? I hope so. So, why kind of quilt will I be making? Well an Improv one, of course. 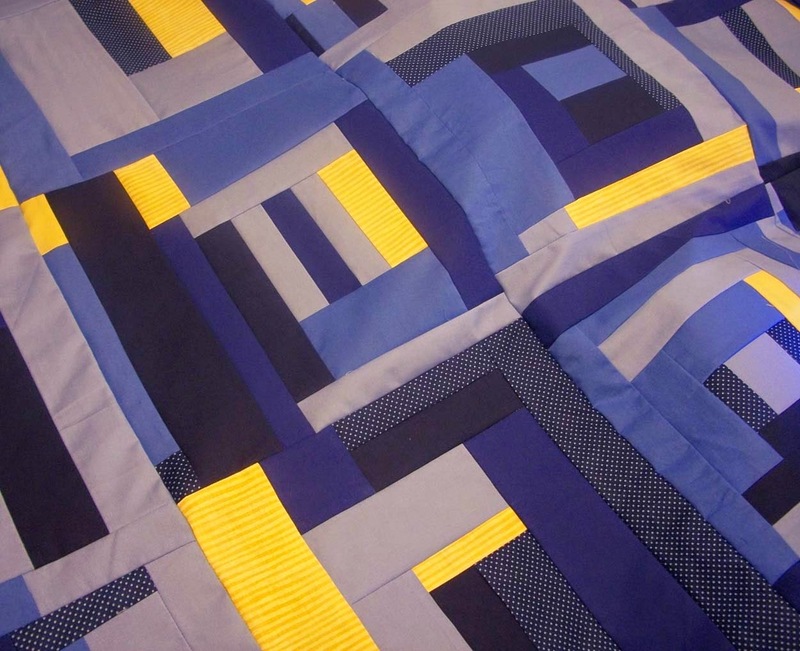 One of my favorite methods for piecing blocks is by allowing chance to play a big part in the design process. 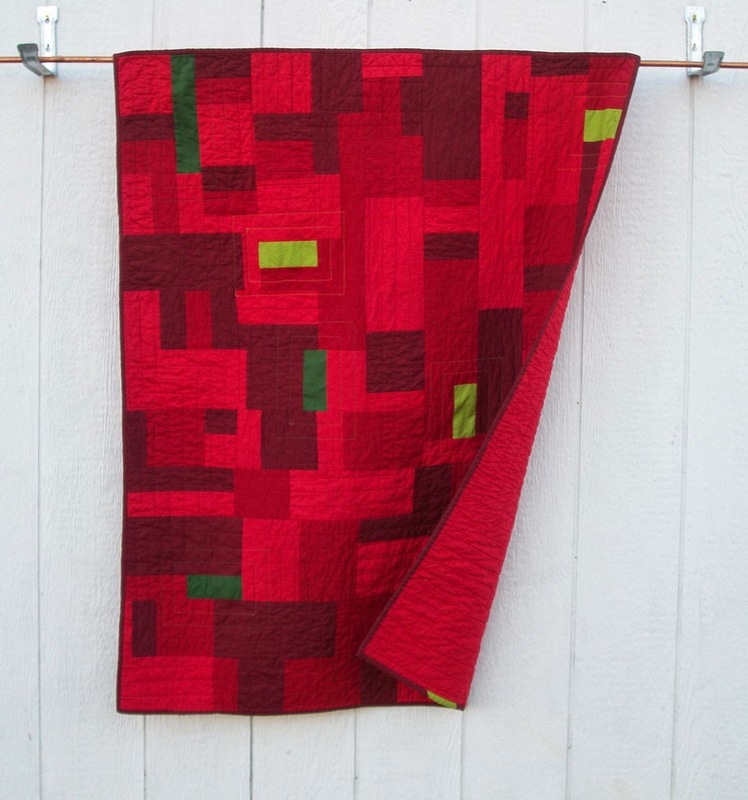 Back when I first started following the modern quilt movement, I came across this quilt and instantly fell in love. Some time later, I tried replicating the look; but became frustrated when trying to design the chaos. So instead I decided to cut my fabric into varying lengths and widths. 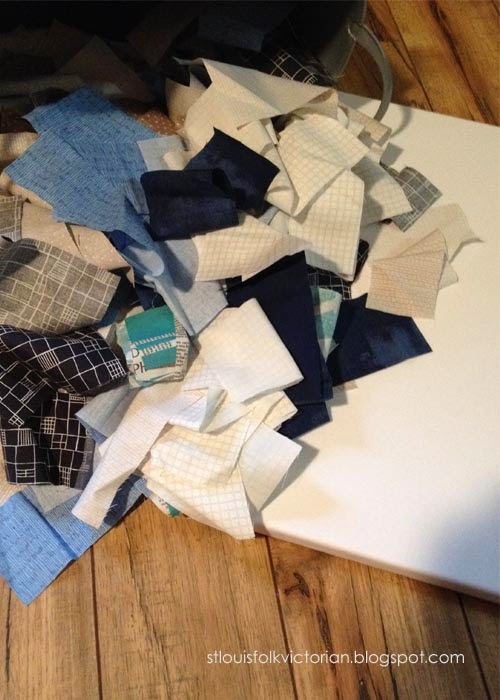 I then placed all of the pieces into a bucket, and pieced my blocks by using whatever strip of fabric I randomly chose. It took a while to get the hang of it; but before long, blocks were coming together in new and interesting ways. The first quilt that I made using this method is still only a quilt top. I started it back in 2011...Yikes; but it is slated to be finished by the end of this year, as I placed in on my WOW (War on WIP) list. The second quilt that I made using this method is actually a finished quilt; which I named Chocolate Covered Strawberries, completed in early 2012. This time, instead of piecing lots of separate blocks, I pieced one enormous block, building it a row at a time. You can see what fabrics I have selected to use for Saturday's quilt, on this earlier post. And here is the same fabric all chopped up into random lengths and widths ready for use. That nondescript white thing is actually a piece of White Kona Cotton stretched over a canvas; which is what my "Quilters For A Day" will be autographing. It will then be removed from the canvas and used on the back as the quilt label. ...Can You Come Out And Play? Love your chocolate covered strawberries!! So vibrant. The little bit of green sets it off. Impressive!